Dedicated, hardworking ensign. 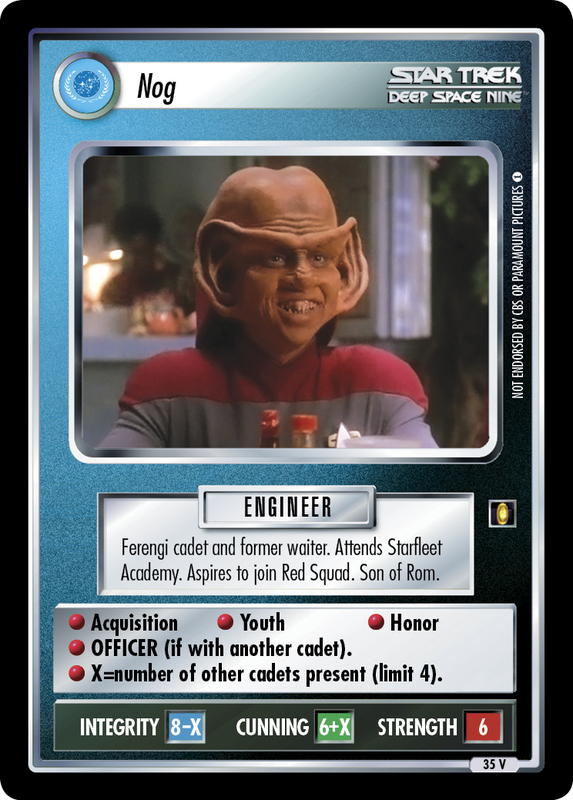 The first Ferengi in Starfleet. Friend of Jake. Briefly served as chief engineer of U.S.S. Valiant under Captain Watters. 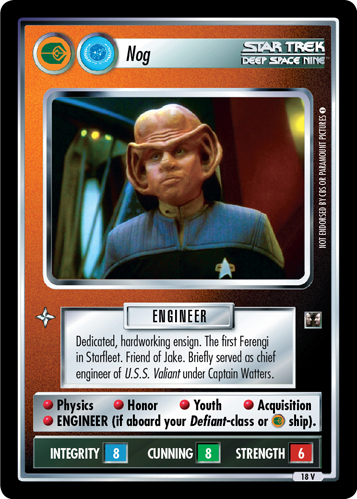 • Physics • Honor • Youth • Acquisition • ENGINEER (if aboard your Defiant-class or ship).